No one really aspires to a mapped-out, prefab life that only attains the expectations of others. 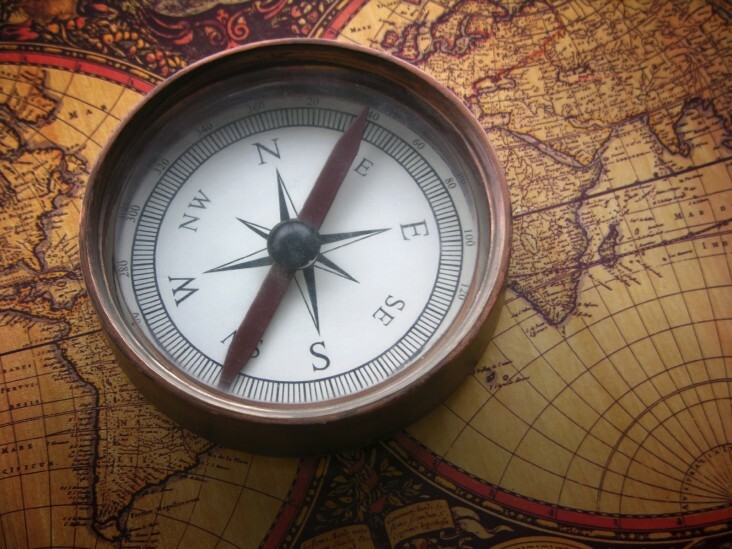 Instead of a map for our lives, Christ gives us a compass that empowers us to follow Him in pursuit of His global purpose along with many others. Below is an excerpt from an article by Claude Hickman, Steve Hawthorne and Todd Ahrend called “Life on Purpose,” from the Fourth Edition of Perspectives on the World Christian Movement. There’s a difference between going out for a walk and setting out on a journey. When someone takes a walk, they may stroll along, meandering here or there. They may be getting out, but they are not necessarily getting any- where. But when people set out on a journey, they pack up and pull things together. They choose a course and move decisively. People on a journey move with purpose. When it comes to God’s will, many of us want the GPS version of God, hopefully with a turn-by-turn British-American voice prompting us at every intersection. Sometimes God gives people very specific instructions, mapping out what they are to do in detail, but this is rare. The world, however, is a map factory. It continually bombards us with plans for success, agendas both personal and political and road signs that read “happiness just ahead.” Most maps lead toward personal gratification and status or just loop back to the status-quo. A map is very appealing to a person looking for direction. But the map is an easy way out. It appeals to the lazy. God gives people direction more than directions. He will not rob you of the faith-building experience of obeying Him based on what He says, not on what you see. We cannot expect to get all the detailed instructions before we are willing to begin traveling the path. The Bible doesn’t lay out a “map.” It gives us a “compass.” God calls you to join Him in journeying in a steady direction toward a grand global destiny. He is calling us to follow a compass and to evaluate any maps that come our way by His over-arching purpose. From the beginning, God has been orchestrating history toward a climactic destiny for all the earth, a redemption that fulfills his purpose for people. You could call this the “True North” of His purpose. God graciously invites our participation in this grand journey by giving us the compass of His word and pointing us in the direction of “True North.” Following this call not only brings us into the awesome significance of aligning our hearts with God’s own passion, we also join a journey pursued by believers of all time. The most limiting thing about maps is that they only give you already-charted territory. They can only take you as far as someone else has been. Mapped-out life plans don’t push you to pioneer and explore what hasn’t ever been done. If you keep following the compass Jesus gives us, you will find yourself involved in pushing His global task toward completion. To finish His journey means that at some point you move beyond the edge of the maps. Our maps will change from season to season in our lives, but the compass is unchanging. The compass is the same for all God’s people. It always gives the direction to True North no matter what your language, your country, your social status, your family or your ability. It stands as a firm standard. By marking out True North and giving us a compass, Christ enables us to think, pray, plan, coach, challenge, create, suffer and labor with many others. It’s not a solo pilgrimage. He’s summoned us to step in- to and help fulfill what believers of previous generations have already begun and what millions of fellow-followers are pursuing at this moment. Living life on purpose means letting God’s agenda and the True North of His heart become the guiding principle for all our decisions. If they thought it was possible, most people would love to find themselves moving in a purpose that culminates the story of the entire world in magnificent ways. To see the full article get the book Perspectives on the World Christian Movement.